Incumbent telcos like Airtel, Vodafone and Idea Cellular are likely to counter JioPhone proposition by tying up with handset vendors to bring to the market their versions of the VoLTE feature phone, a JP Morgan report said. The report added that the new product to counter Jio is more likely to hit the market once these telcos have a threshold VoLTE network up and running. Delay in VoLTE launch by top telcos would give Reliance Jio a head-start of 9-12 months with the JioPhone, the brokerage said. “We think the stakes could actually be higher for the OEMs (that are not engaged with RJio), who would not want to left out of this new phone segment as their existing bread-and-butter feature phone business comes under threat. So, incumbents may be actually able to exercise leverage over the OEMs in the coming months,” JP Morgan said. JP Morgan, however, said that the JioPhone may not withstand consumer expectations and wouldn’t halt potential feature phone users’ plans to own a smartphone during a three-year lock in period. 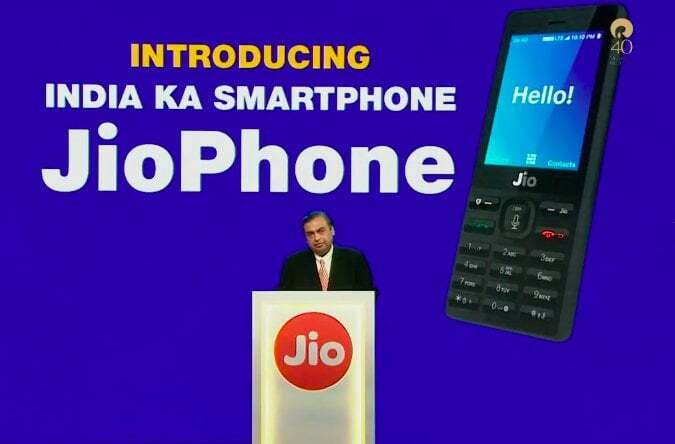 “Based on information provided by RJio and feedback from various sources, we believe there could be some challenges in propagating the JioPhone (as the terms & conditions currently stand)…Some of the challenges relate to feasibility, while others relate to the product being attractive and attractively-priced enough to induce habit-changing consumption,” it added. The agency anticipated that if the consumer can afford to pay at least Rs153 per month for three years (JioPhone ARPU pricing), he/she is quite likely a smartphone user well before this three-year period runs out. “Is JioPhone largely an up-trade proposition for the low-end ARPU sub segments or can it also do enough to persuade consumers to downtrade as well? – In our view, the answer to this would really depend on whether consumers are content enough with the experience/performance of the JioPhone and find compromises in downtrade acceptable. Then, there is also the matter of finding the trade-off between following a relatively walled ecosystem (which no doubt helps propagate RJio’s family of proprietary apps) vs. an open ecosystem,” JP Morgan said. Jio’s pitch with the JioPhone is aimed squarely at the feature-phone segment, and much less so at the entry-level smartphone or soon-to-be smartphone segment, it further said. Intex already anounced 4G VOLTE feature phone. Therefore AVOID Group can launch bundled offers on similar open market handsets.